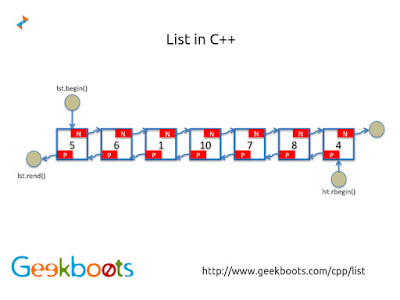 List is implemented as doubly linked list in C++. It is a sequence container, that allow constant time insert, access and erase operations anywhere within the sequence. List can be iterate in both directions.